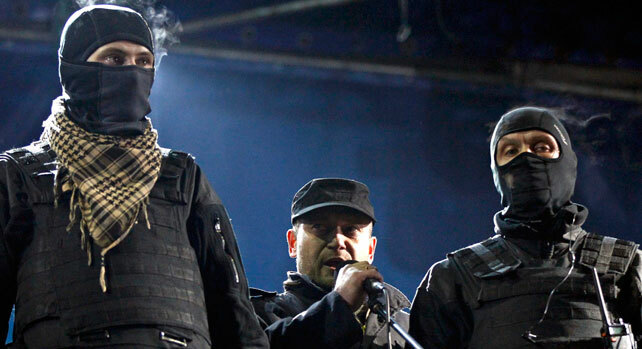 Violence and bloodshed continues to rock Ukraine as factions compete in the power vacuum of last month’s coup in Kiev. As the country struggles to find its way forward, however, it finds itself in the crosshairs of a US-NATO war agenda that has been unfolding for years. This is the GRTV Feature Interview with our special guest, Professor Michel Chossudovsky. “We are not dealing with a transitional government in which Neo-Nazi elements integrate the fringe of the coalition, formally led by the Fatherland party. Moreover, this is the first full-fledged Neo-Nazi government in Europe in the post World War II period. 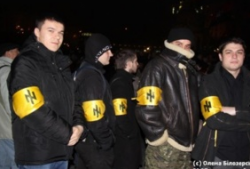 This US-NATO sponsored Coup d’etat –which has led to the formation of a coalition government integrated by Neo-Nazis– is an Act of Warfare against Ukraine. “Washington has chosen to spearhead Neo-Nazis into positions of authority. Under a “regime of indirect rule”, however, they take their orders on crucial military and foreign policy issues –including the deployment of troops directed against the Russian federation– from the US State Department, the Pentagon and NATO. A scenario of military escalation leading to confrontation of Russia and NATO is a distinct possibility.